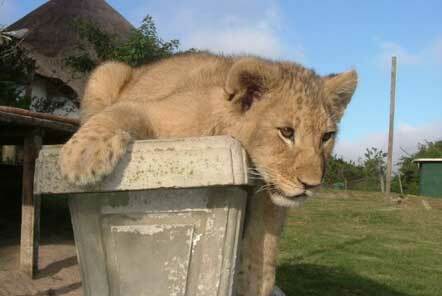 Why does Pod Volunteer not offer opportunities to volunteer with lion cubs? For many people, the idea of getting to play with, cuddle and even bottle feed lion cubs comes high on the to-do list when travelling to Africa or general 'bucket list' and offers a once in a lifetime opportunity. However there is a darker side to this understandably appealing attraction. This form of petting tourism is becoming increasingly popular especially across South Africa both with tourists who visit a lion park for a couple of hours and to volunteers who choose to spend a few weeks helping at these parks. Visitors and volunteers are told that they are saving lions in the wild by supporting these parks and many claim to be releasing their hand-raised lions back into the wild. 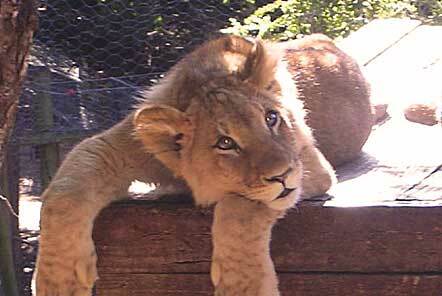 There are numerous issues with releasing hand-raised lions into the wild. These lions will always associate humans with food (as humans have always provided them with food while they have been growing up). Hand-raised lions will still have their natural instincts; however they will not have the same natural fear of humans that wild-born lions have, which will make them more likely to come into conflict with humans after their release. The result of this is that often lions are shot by people protecting their family or livelihood if they feel their livestock are under threat. In order for the parks to be able to offer interaction opportunities with cubs, they are taken from their mothers after a few days to a few weeks (depending on the facility). This can lead to viral, respiratory and nutritional problems which are common amongst hand-raised predators due to substandard milk formulas being used to replace the mother’s milk. This can lead to lower immunity and the regular contact with humans can cause the cubs to contract diseases such as ringworm (often passed on from visitors’ own domestic cats at home). The removal of cubs from their mothers at a young age also leads to problems for the mother herself as the lioness can come back into oestrus sooner than she should do. This allows the park owners to breed from the lionesses at a much more regular rate than lionesses in the wild would reproduce. 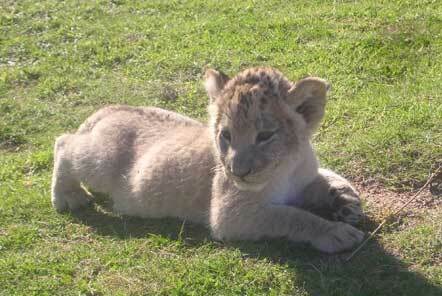 This in turn allows a constant supply of cubs that can be raised by volunteers and used for interactions. 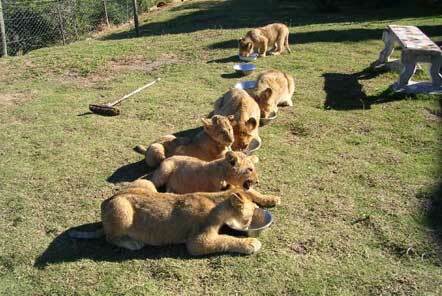 The lion breeding industry is growing and with it so are concerns of welfare issues for these lions. Most volunteers and tourists who go to these parks do so unknowingly and with the best of intentions. When questioning the conservation ethics of them, they are told that they are helping to increase numbers of lions in the wild, but evidence of this is hugely lacking and this is linked to the issues of releasing hand-reared lions into the wild, as discussed above. These facilities need a constant supply of cubs at the right age for interactions, where they are still cute for photographic opportunities, small enough to cuddle and of little danger to visitors, which begs the question, what happens to these cubs when they are too old for interactions? There is a lot of money in this industry as people are willing to pay large amounts of money to shoot a lion, and canned hunting makes this possible for people who have limited time and hunting skills as the animal is in a confined area, so no 'hunting' of the lion is necessary, just the shooting. The money that can be generated from selling lions into this industry is enough for lion parks to sell their lions that have previously been used as interaction cubs to canned hunting facilities where tourists can have the ‘ultimate hunting experience’ by shooting a lion. Whilst many argue that the income generated by canned hunting goes towards conservation, it is widely acknowledged that this is not the case and especially not when compared to traditional hunting methods. It is of paramount importance that Pod Volunteer only works with projects which are sound in their conservation ethics, where the project is truly needed and where volunteers are needed to assist with their work. We do not believe in working with projects which offer nothing towards the conservation of the species that they work with, or where they simply offer an ‘experience’ for the volunteer such as hand-raising and cuddling lion cubs, especially when the future of these cubs is so bleak. Update (2016): if you are interested in this topic and would like to learn about it in more detail, we recommend watching the documentary Blood Lions. Read more about Pod’s responsible volunteering policy.